I've noticed that recently some users are having issues or complaints with ex excessive chatter with their new AT Pro. 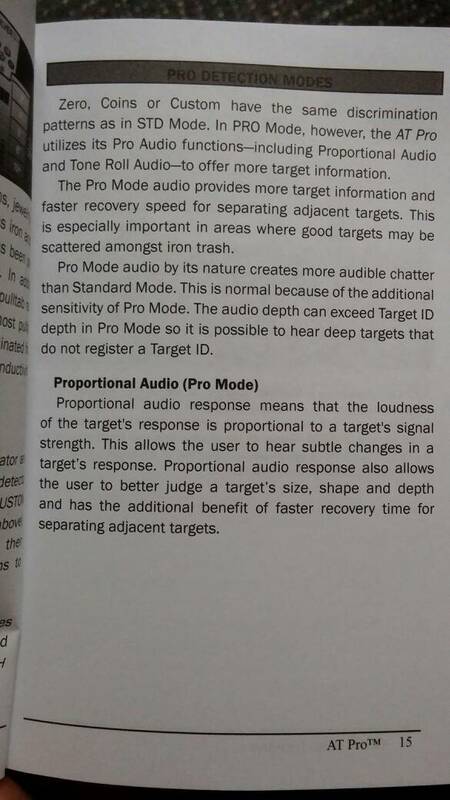 I figured I would post a page put of the manual and also a link to a Garrett instructional video to maybe help some them out or at least point them in the direction of finding answers. Been using the Pro for a couple of years now. That video is a nice refreshing reminder. Thanks for posting. Good for the newbs and the vets!